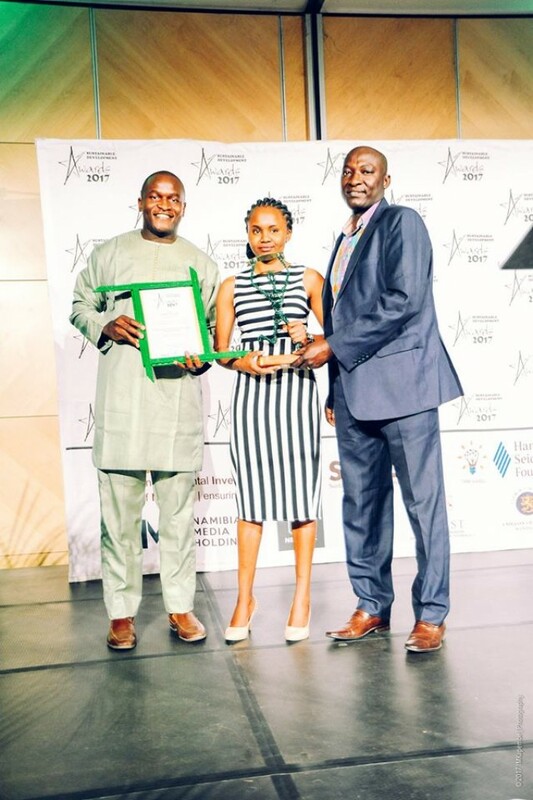 Last Thursday (21 September 2017), the Sustainable Development Awards were announced at a gala event in Windhoek. The initiative was coordinated through the Environmental Investment Fund of Namibia, the Sustainable Development Advisory Council and the Hanns Seidel Foundation Environmental Awareness and Climate Project. The awards intend to recognize the importance of integrating sustainability into the core business and industry as well as the daily lives of our citizens. Over 90 nominations and applications were received overall, and the competition was tight. To all the entrants, we hope to continue to stand together with you in the quest for a resilient, successful and prosperous Namibia. Photo: Young Achievers took away the Youth Action Award. Picture Credit: SDA, Facebook.